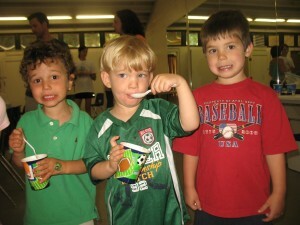 Use of the gym for the scheduled hour with activities appropriate to the age of the birthday child and guests. We now offer 4 party package options: Our standard Bronze Party Package includes your 1 hour of exclusive gym time, followed by 30 minutes in the party room. We provide party staff, tables and chairs. 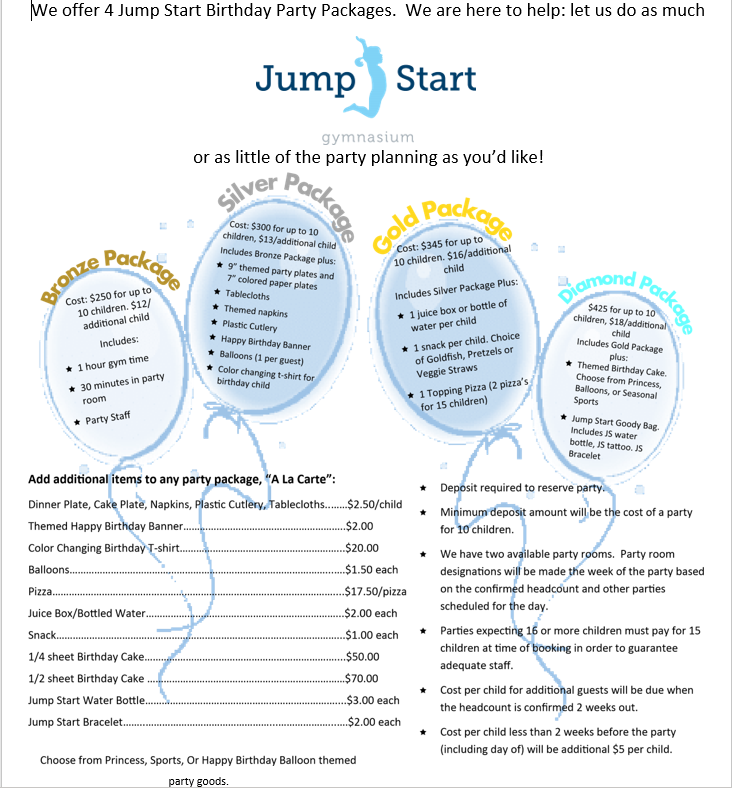 Our Silver Party Package has 3 themes to choose from (balloons, sports, or princess). We provide tablecloths, tableware, a happy birthday banner, balloons, and a special t-shirt for the birthday child. Our Gold Party Package includes all of the items in the Silver package, plus snacks, beverages and pizza for the birthday child and their guests. Our highest level Diamond Party Package lets us do all the work for you! In addition to all the items in the Silver and Gold packages, we will also provide the cake and goody bags (a Jump Start water bottle, tattoo, and bracelet) for the party. All participants must be dressed appropriately for active play! Please note: The scheduled party time in your confirmation email includes the one hour reserved in the gym exclusively for your party. This hour will be followed by 30 minutes in the party room for birthday cake, pizza, etc. 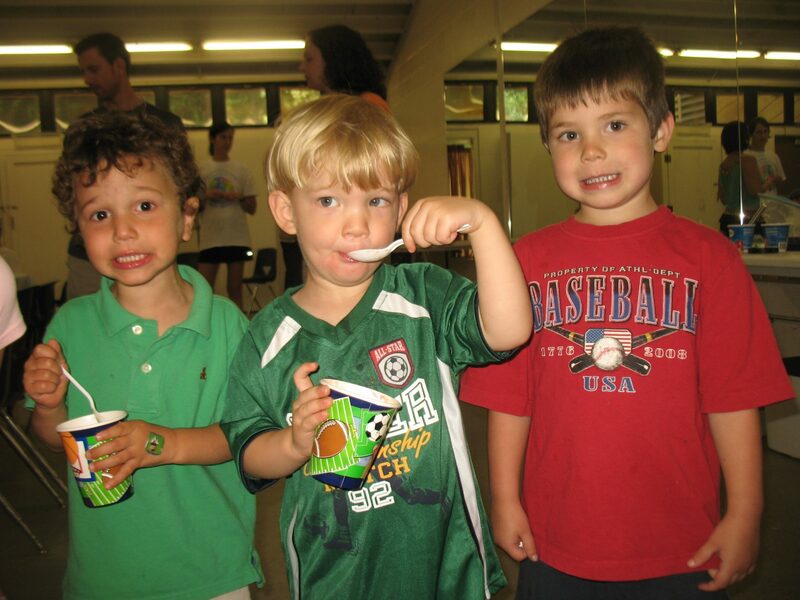 We invite party parents to arrive 15 minutes before the scheduled party time for set up. Please email our birthday coordinator at birthdayparties@jumpstartgym.com to inquire about your party and put “Birthday Inquiry” in the subject field. We advise booking at least three weeks in advance.